Meet Desima at the Heimtex in Frankfurt! Shall we meet at the most important international trade fair? From our viewpoint, maintaining contact with our customers, partners and friends is essentially important. This of course takes place every day through efficient E-Mail and telephone communication. However, there is no replacement for meeting personally face to face. 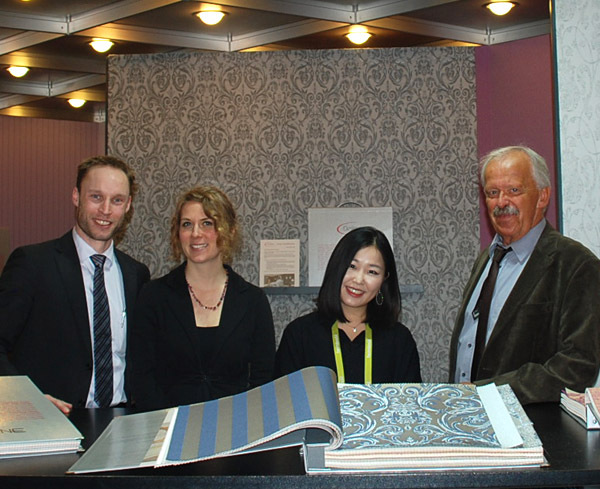 It is for this reason that we have been taking part at the international exhibition Heimtextil for over 20 years. This worldwide Heimtex is the perfect platform to meet many of our internationally customers and interested parties in person. This is an excellent opportunity to present our portfolio of collection books, inform you over the latest additions, discuss business opportunities and challenges or simply chat together over a cup of coffee. As always you will find us at the same place in Pavilion 3.1, booth D37. We are looking forward to greeting you at the exhibition and would recommend making an appointment with us by E-Mail in advance to make sure we have enough time together during these often hectic days.